Luxurious and vibrant, X2 Bali Breakers Resort captures the adventurous spirit of Bali, the most sought after holiday destination of the Indonesian archipelago. With its surf-inspired design, this 5 star resort is ideal for those seeking to enjoy the active lifestyle at its best – while spacious villas, private pools and the availability of soothing spa treatment options bring serenity and rejuvenation for the soul. 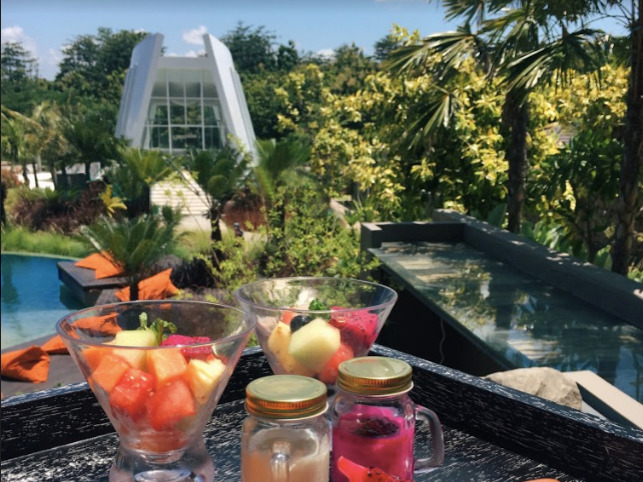 Located in the heart of Bali’s peaceful southern peninsula, X2 (pronounced cross-to) Bali Breakers is surrounded by green spaces ideal for joggers and cyclists to explore. The legendary Balangan surf beach with consistent breaks is a short bike ride away, and the cultural and scenic highlights of the island are all within easy reach. Nearly all of the resort’s finely decorated villas have their own tropical garden with private pool and comfortable seating area, offering luxury accommodation for all occasions. From corporate outings to romantic retreats or get-togethers with family and friends, our beautifully decorated resort gives you the freedom to shape your experience any way you like. Our resort also offers a splendid setting for couples looking to share their most magical moments together. 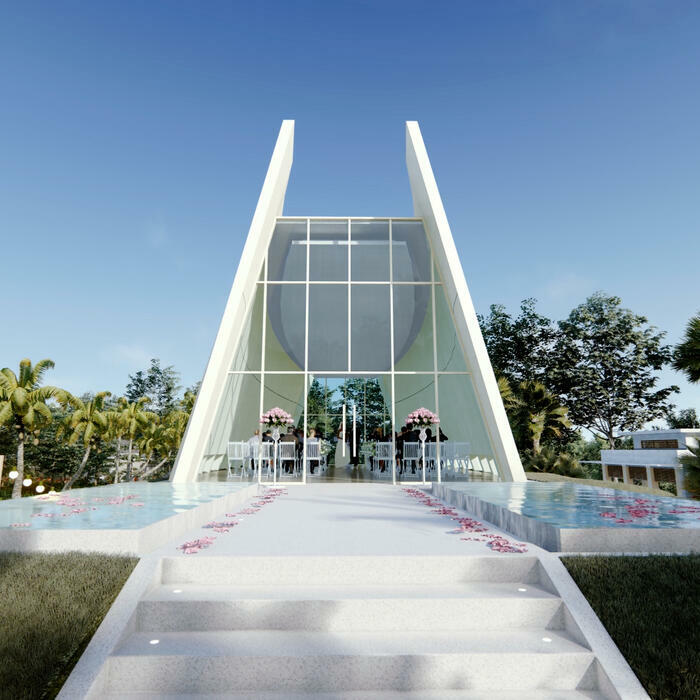 Couples can celebrate their wedding with a service in our stunning chapel, or enjoy a romantic honeymoon or anniversary with a delightful stay in a private pool villa. For all guests, plenty of lovely and casual experiences await you during your visit. 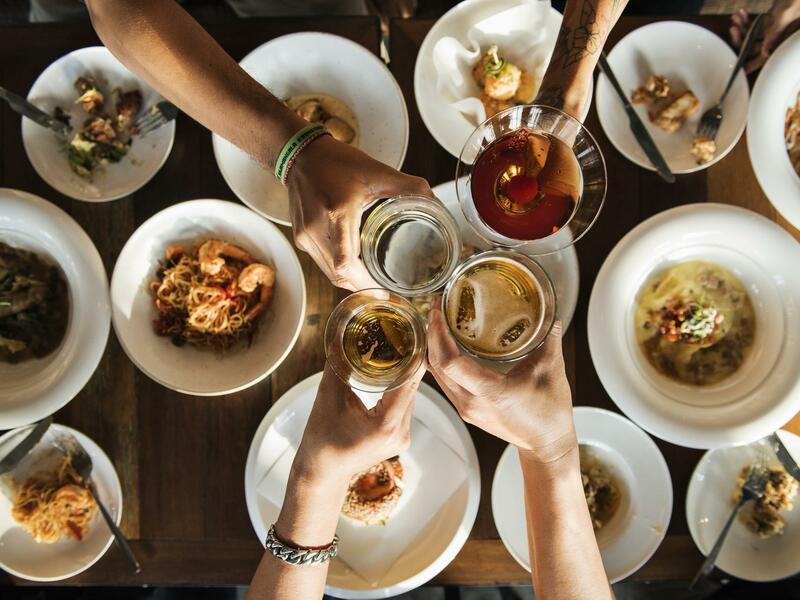 Treat yourself to the lively atmosphere of our very own Point Break Restaurant with indoor and outdoor seating, along with the Sunken Pool Bar by our main swimming pool, and the scenic Hang Loose for winding down in style. Our skillful spa therapists also offer a range of soothing and rejuvenating treatments, making your visit to Bali a nourishing experience for your mind, body and spirit. Throughout your stay, our highly trained staff will ensure that you have every convenience at your fingertips. So come in, stretch out, and experience Bali the way it was meant to be, at X2 Bali Breakers Resort. Receive exclusive privileges anytime you book a stay at X2 Bali Breakers Resort through our official website. Every purchase of a promotion or package via the X2 site automatically grants terrific bonus rewards, to make your stay with us even more memorable. With unbeatable locations, stylish facilities and world-class service, there has never been a better time to leave your cares behind and escape to our luxurious resort in Bali. Rest in modern, cozy luxury and wake up to another beautiful day on Bali Island by taking an early-morning plunge in your own private pool. Our most popular villa category, the one-bedroom deluxe pool villa is perfect for couples and comes in two unique layouts. Each has 100 sqm of tastefully decorated, private living space for tropical relaxation at a slow and comfortable pace. Beautifully arranged for families, friends, and small groups, our Dwitaya two-bedroom deluxe pool villa features a King-size bed for the master bedroom, and twin beds for the second bedroom. At 454 sqm, our three-bedroom family pool villa is by far the most spacious selection available at X2 Bali Breakers Resort. Designed to accommodate family or friends, two of the bedrooms come with a King-size bed. For all guests, plenty of lovely and casual experiences await you during your visit. Come eat at our all-day Point Break Restaurant where our Chef spoils you with refined flavors of local and international cuisine. Take a break from floating around in the pool to have a drink at our Sunken Pool Bar. Or visit Hang Loose where panoramic views mix with music and cocktails. Cool off with a refreshing swim at any of our three central pool areas. Our main pool features a swim-up sunken pool bar, serving food and beverages from morning to evening. Higher up, a rooftop lounge pool lets you soak up some sun with views looking out over the resort. Our resort offers a splendid setting for couples looking to share their most magical moments together. Celebrate your wedding with a service of your choice in our stunning chapel or plan a romantic honeymoon or anniversary. X2 Bali Breakers Resort is located on Bali’s peaceful southern peninsula in Jimbaran, just 14 km from Ngurah Rai International Airport and 15km from the ferry pier at Teluk Benoa Harbour.